Albert “Bruno” Betzel, North Grove Cemetery, Celina, Mercer County, Ohio. Christian Friedrich Albert Betzel was born 6 December 1894 in Chattanooga, Liberty Township, Mercer County, Ohio. He was baptized at home on 9 January 1895 by Rev. John Frederick Carsten Soller, the minister of Zion Lutheran Church in Chattanooga. Albert was the son of Heinrich and Sarah Anna (Kessler) Betzel. Sponsors at his baptism were Christian Kessler and wife Margaret (Haeffner) and Fritz Betzel and wife. Zion’s records list his date of birth as 6 August, but every other source I have seen lists his birth month as December. Bruno Betzel played his entire five-year major league career for the St. Louis Cardinals from1914-1918. His first game was 3 September 1914, at age 19, and his last game was 2 September 1918. The 1915 St. Louis Cardinals Roster listed him as an infielder, 5’9”, 158 pounds. He threw and batted right-handed. Betzel appeared in 448 games and batted .231 with 333 hits, including 37 doubles, 25 triples, two home runs and 94 runs batted in. He was the Redbirds’ regular third baseman in 1915 and second baseman in 1916. Bruno roomed with Rogers Hornsby, played with Hank Robinson, managed Jackie Robinson and once beaned Ty Cobb with an infield ground ball. In 1927 he began his managing career with the Indianapolis Indians in the Class AA American Association. The following season he won his first pennant. He won six more championships during his 26 year managing career, all of them in the higher levels of the minor leagues. Betzel piloted minor league affiliates of the New York Yankees, Brooklyn Dodgers, New York Giants and Cincinnati Reds. He compiled a record of 1,887 victories and 1,892 losses -a winning percentage of 49.9% and was inducted into the International League Hall of Fame. Betzel was known to share what he caught while hunting and fishing with orphanages near his home. Albert (Bruno) Betzel, 70, retired baseball player and manager, died Sunday morning in a hospital at West Hollywood, Fla., where he and Mrs. Betzel had gone to spend the winter months. His son, Albert Jr., of Atlanta, Ga., and his daughter, Mrs. John Dale (Betty) Coughlin of Augusta, Maine, were with their mother when he passed away. The body is being flown to Celina but no details of arrival or other arrangements had yet been received by press time today. Born in Mercer County, Mr. Betzel spent his entire adult life in the baseball field. He started his baseball career in Celina and eventually played both the major and minor leagues with teams in the United States and Canada. Mr. Betzel reached the major leagues in 1914 and played with the St. Louis Cardinals for all or part of the subsequent five seasons. He saw duty as second base, third base and in the outfield and his lifetime batting average for the five seasons was .231. In 1916 he played in 142 games, highest total in his career. After his retirement from playing he managed several minor league teams and led them to pennants in many cases. Among the teams he managed were Syracuse and Toronto, both in the Class AAA International League. He subsequently did scouting work for several major league clubs. Mr. and Mrs. Betzel, whose home is at 302 South Brandon St. in Celina, have spent the winter months in the south for a number of years. The body of the late Bruno Betzel, 70, Celina, who died Sunday morning in a West Hollywood, Fla., hospital, is expected to arrive by train at Wapakoneta at 2:36 a.m. Wednesday and will be brought to Vale and Stein Funeral Home. Friends may call at the funeral home after 7 p.m. Wednesday. 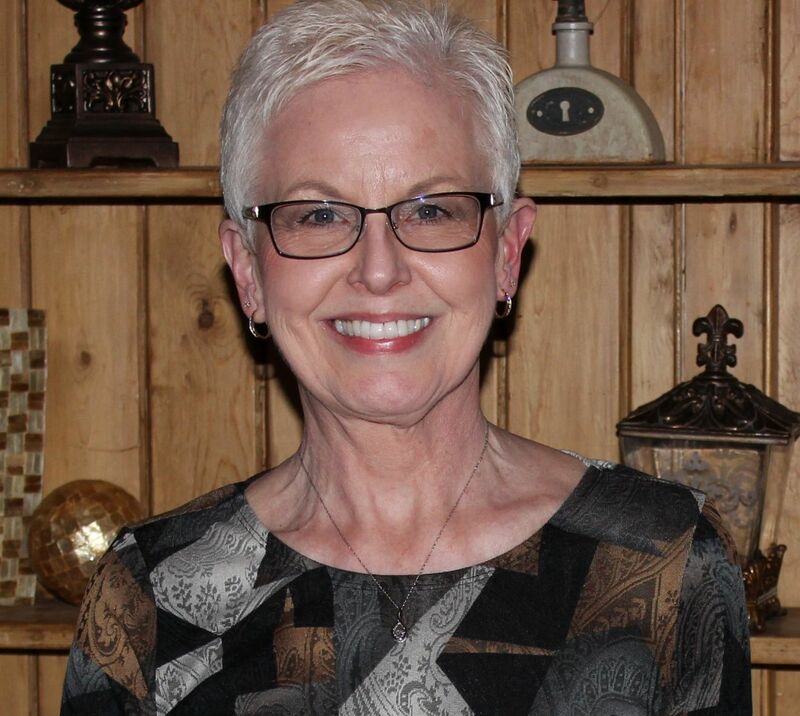 Funeral services are set for 2 p.m. Friday in the funeral home with the Rev. Don Bachman, pastor of St. John’s Lutheran Church, in charge. Interment will follow in North Gove Cemetery. The Rev. Don Bachman, pastor of St. John Lutheran Church, conducted funeral rites Friday afternoon in Vale and Stein Funeral Home for the late Albert “Bruno” Betzel, who died last Sunday in West Hollywood, Fla. Mrs. Robert Johnston presided at the organ. To be honest, I had never heard of Bruno Betzel until I compiled a history of Zion for our 150th anniversary in 2005. I have since learned that Chattanooga and Mercer County have had several talented baseball players over the years. Several made it to the major leagues while others played in the minor leagues or were invited to tryouts for the majors. 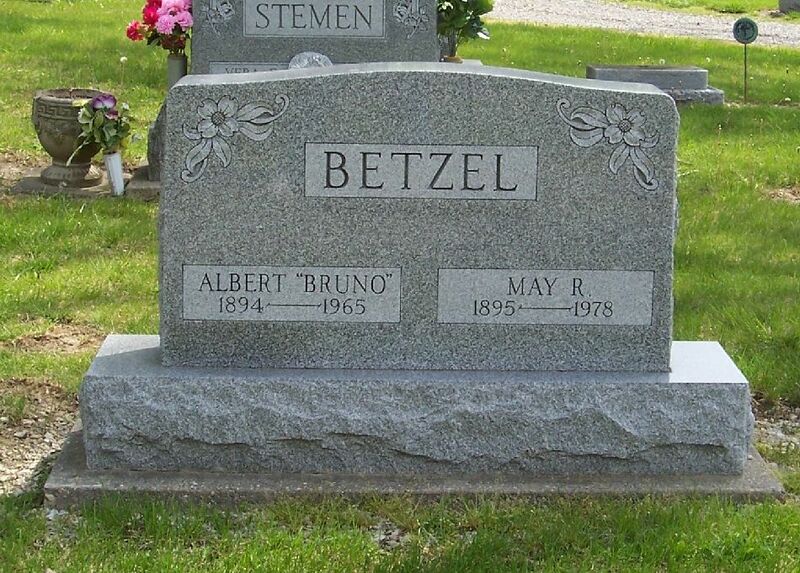 But Albert “Bruno” Betzel, from the little village of Chattanooga, was the first major league player from Mercer County. It is a small world. Our current interim pastor is the son of Rev. Don Bachman, the Lutheran minister who officiated at Bruno Betzel’s funeral. Leslie M. O’Connor, ed., Official Baseball 1945. New York: A.S. Barnes & Co., 1945, page 382. 1900 U.S. Census, Liberty, Mercer, Ohio; Roll: 1304; Page: 10B; Enumeration District: 85; FHL microfilm: 1241304, Ancestry.com, accessed 30 April 2012. 1910 U.S. Census, Celina Ward 2, Mercer, Ohio; Roll: T624_1214; Page: 11B; Enumeration District: 0117; Image: 911; FHL microfilm: 1375227, Ancestry.com, accessed 30 April 2012. 1920 US Census, Celina, Mercer, Ohio; Roll: T625_1418; Page: 11A; Enumeration District: 138; Image: 367, Ancestry.com, accessed 30 April 2012. 1930 US Census, Celina, Mercer, Ohio; Roll: 1850; Page: 7A; Enumeration District: 17; Image: 821.0; FHL microfilm: 2341584, Ancestry.com accessed 30 April 2012. The Daily Standard, Celina, Ohio, 8 February 1965, p.1. The Daily Standard, Celina, Ohio, 9 February 1965, p.1. The Daily Standard, Celina, Ohio, 13 February 1965, p.3. Obituary file, Mercer County Public Library, Celina, Ohio. The part about rounding Jackie Robinson into a ballplayer is not correct. I think you got this out of the book “The Other Side of the Jackie Robinson Story”. By Big Ed Stevens. Stevens is talking about himself here. Jackie only played for Montreal in 1946. In 1946 Bruno was managing New Jersey. 1945 Jackie played for the KC Monarchs. Thank you for making that clear. I did misinterpret that quotation. I have corrected it in the post.